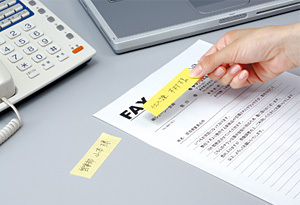 ‐ Versatile, wholly-adhesive fluorescent paper tapes. Firmly stickable onto almost flat surfaces metals, plastics, glasses yet easily removable. ‐ For use at office, factory or home. 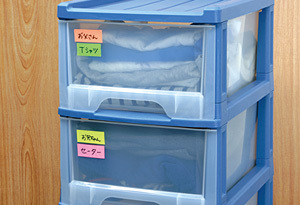 Ideal for masking, rewriting, memos, indexing, addressing, temporary joint, sorting, organizing purposes and many others. 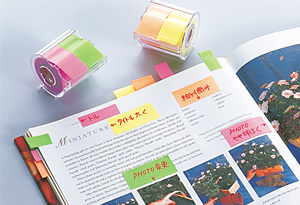 ‐ Can be written with pen or pencil. Economical - simply pull and cut as you like without wasting. ‐ See-through, recycled polystyrene dispenser includes cutter. Refill tapes available. ‐ Tapes are available with 15mm and 25mm width / 10 meters long per each strip.